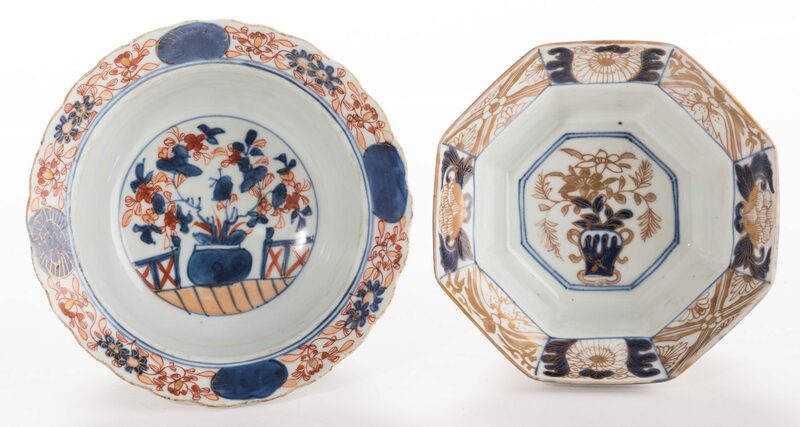 Lot 183: Two Small Asian Porcelain Bowls, 18th c.
You are here: Home >> October 21, 2017 Auction - Online & Absentee Only >> Lot 183: Two Small Asian Porcelain Bowls, 18th c.
Two (2) small Asian porcelain bowls. 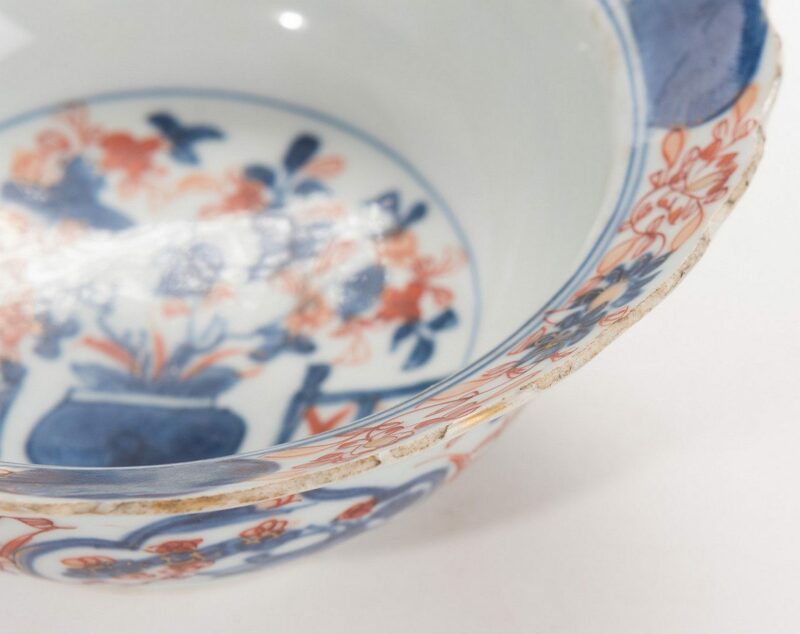 1st item: Japanese Arita octagonal porcelain underglaze blue and gilt footed bowl with stand, gilt floral and bamboo decoration, double rings on foot. Bowl: 2-3/4" H x 6-1/4" dia. 4-1/2" H with stand. 18th century. 2nd item: Chinese Imari footed bowl with scalloped rim, floral vase on garden balcony in center with alternating floral sprays around rim and on exterior. 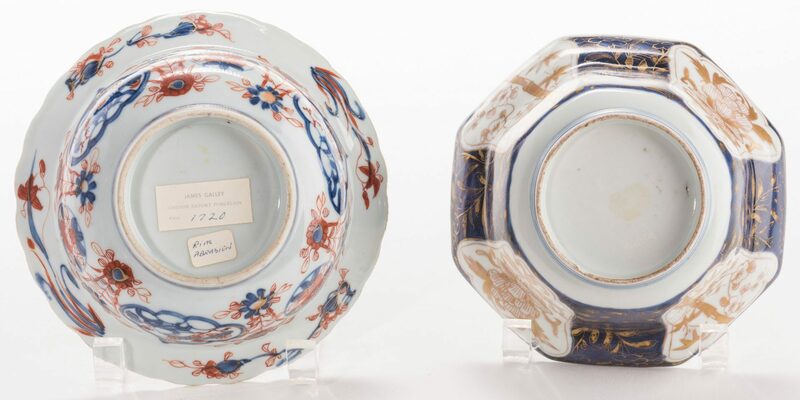 "James Galley Chinese Export Porcelain" dealer label on base. 2-3/4" H x 6-1/2" diameter. Mid-late 18th century. CONDITION: 1st item: Minor wear to gilt decoration. 2nd item: Abrasions along most of rim. One-half inch long hairline on foot.